06 Nov Can Bankruptcy Help Solve Your Student Loan Problem Even if Your Student Loan Debt is Non-Dischargeable? 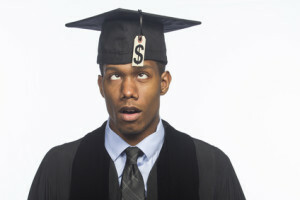 As a general rule, student loan debt is non-dischargeable. Bankruptcy Code Section 523(a)(8) provides that unless you can show â€œundue hardshipâ€ your student loans will survive your discharge. As my colleague Craig Andresen recently wrote on this blog, the Brunner case, which is the authoritative case defining undue hardship makes it almost impossible to meet this standard. Craig points out, correctly, that Brunner was decided at a time when the Bankruptcy Code did allow older (more than 7 years old) student loans to qualify for discharge based on their age and that the time has come to change this extremely difficult to meet standard. In any case, the harsh Brunner standard remains the law of the land and unless and until Congress or the Supreme Court changes it, student loan borrowers who are not on their deathbeds are going to have to find other ways to deal with crushing student loan debt.